Losing out on traffic from Google can be frustrating. Especially when search engines can generate plenty of sales for your business. In this article, I’ll answer that all important question — Why is my website not showing up on Google? — I’ll also share how you can solve that problem. Not sure if your business is showing up on Google? — Contact me for a free SEO audit of your website. How much traffic can your Website get from search engines? Red Cocktail dress has a monthly global search volume of 8K and a search volume of 700 in the UK. The parent term, Cocktail Dresses, has a global search volume of 167,000 and a UK search volume of 23,000. That’s a lot of people searching for Cocktail Dresses on search engines. And many people visiting the websites that are displayed in Google’s search results! Lots of website visitors (with high purchase intent) = lots of sales! Okay, so we know that organic search present a huge business opportunity. But, how do you get ‘that’ search traffic to your site? Why people aren't finding your site on search engines! Google can’t find your website. Google can’t understand your site, pages, and content. You are way down the search results — on page 30 or something crazy like that. What kind of mad fool will read 30 pages of search results! 1. Google Can't Find Your Website! It seems crazy. However, it could be true. Google’s search robots crawl the internet at an incredible speed, jumping from page to page, link to link. They look for websites, pages, and posts — adding new data to the massive Google database. Once your web pages are added to the database, they’re considered indexed and ready to be found in search results. Has Google found and indexed your site? Go to Google and enter the following search query. When I ran this search on my website address, Google displayed a long list of pages on my website. It means my site has been found and indexed by Google. If you see this message, you’ll want to to fix this issue ASAP. Look for the setting below — the box should not be ticked if you want search engines to find and index your site. When you built your website, you may have used a password to stop people seeing your work in progress. Perhaps you forgot to remove those passwords? Check those settings and remove those passwords. In WordPress you find password settings on each webpage. You can also no-index individual pages (where it says ‘Hide from search engines’ ) — make sure this box is unticked too. Add your website addresses and XML site maps. Here’s a video from Ahrefs that walks you through that process. Once you’ve completed the previous steps, your website should be indexable. Give it a day and try the site search test again. 2. Google can't understand what your web Pages are about! Google is a huge reference engine and information depository. It stores a huge amount of data on its servers. According to What If? — Google stores a whopping 10 Exabytes of data on their storage clusters. When someone enters a search query into Google, the software responds by providing a relevant answer in double quick fashion. It does this by associating people’s search queries with keywords and topics — and providing search results relevant to those keywords. Every keyword that Google associates with your website, is another chance for your site to appear in a search results. The more search results you appear in — the more potential sales you make! Unfortunately, most new brands are linked with few keywords and are missing out on these sales opportunities! Brands are dropping the ball and missing out on sales! As an experiment, I looked at the number of keywords that are associated with three newish Ecommerce brands (from my Facebook group — Fashion Brand Builders). This brand has 8 products and is associated with 13 keywords. That’s 1.6 keywords per product. This brand has 89 products and is associated with 152 keywords. That’s 1.7 keywords per product. This brand has 87 products and is associated with 19 keywords. That’s 0.21 keywords per product page. By failing to optimise their websites for keywords — new Ecommerce brands are missing out on a tonne of traffic. Sites that feature less than 100 targeted keywords are the rule, not the exception! An established brand’s website is going to have thousands of products and therefore be an unfair comparison. To even things out, I looked at a single subcategory page…. Here’s the keyword report for Topshop’s swimsuit category page. This sub-category page has 57 products and is associated with 425 keywords. That’s 7.4 keywords per product — a superior performance to the new fashion brands. Established fashion brands like Topshop have done a great job of telling Google what their websites are about — they’ve Search Engine Optimised their category and product pages. And if you want your brand be associated with many traffic generating keywords, you must do the same. Remember, Google isn’t a mind reader! It doesn’t automatically know what your web pages are about — you have to give it some nice big clues! How do we help Google understand what our pages are about? By using the right words ‘keywords’ and ‘topics’ in the appropriate places on our webpages. Before we look at where to put those keywords, we need to know the right keywords to use. 2) Have a medium/high search volume — a good number of people searching for that that term. Or you can use professional (comprehensive) tool such as Ahrefs — that’s the tool we use for our SEO service. First, I go to the Keyword Explorer page. Next, I enter the word that I would like to test into the input box — ‘Streetwear’. The software then show me the monthly search volume, and ranking difficulty for that word — you’re not the only brand trying to rank for a search term on Google (more on keyword difficulty later). I can then drill down and find more related long-tail keywords and variants such as streetwear shop and streetwear clothing. I often use Answerthepublic to generate keyword ideas from my starting keyword. I export keywords ideas as a CSV file, then edit the file inside a spreadsheet programme — irrelevant columns and search terms are deleted — before exporting another CSV file. This cleaned CSV filed is uploaded into Ahefs, where I ask the software to process all the keywords. I then evaluate the metrics for each keyword and choose the best one/s. Which bring us to a good question? In a perfect world, you want each page to feature multiple keywords. Each keyword is a chance for you to feature in a search result — so if your page ranks for 20 keywords — your page will shown up in 20 different search queries. Avoid being over ambitious in the beginning — three-to-five keywords per page would be a good starting point. This is the process of putting your keywords in all the important places on your webpage. This cat loves optimising her website! Normally, you’ll have one main keyword you want to a page rank for, plus some secondary keywords that are also relevant to the page/product. For example, let’s imagine I have a product page for Black Lace Earrings:- These earrings are large, contain sterling silver, are handmade by Artisans in Greece, and would look great with a cocktail dress. Secondary keywords — Artisan made jewellery, Jewellery from Greece, Sterling silver earrings, Earrings for cocktail dress. Artisan made jewellery, Jewellery from Greece, Sterling silver earrings, Earrings for cocktail dress. Two or more times in the body copy of the page (the product/service description) — but don’t make it spammy, the use of the word should feel natural and not forces. Make sure one of these mentions happens near the top of your page. If you use your keyword more than twice, I would suggest using close variations, i.e. Red Shoes and Red High Heels — Google will understand that you’re talking about the same product. The meta description. This won’t help search engine optimisation, however, Google will highlight your copy on the SERP — this will increase the chances that someone will click through to your site. H2 and H3 Titles. If relevant to the following section and copy. One Alt Image Attribute. Try to keep them relevant to the image — remember Alt images tags are there to help impaired people understand your pictures. These extra words will help Google understand what your page is about. You’re likely to create additional organic keywords — yet more SERP (Search Engine Result Page) opportunities for your brand! It will create a better on page experience — people will love learning all the little details about your products and it could help them choose your product or service. When people have more good content to read, they’ll start on your site for longer — this tells Google that your site is valuable and it will keep referring people to your site. If you run Google Advertising Campaigns, you’ll find that the price of placing your Ads is cheaper! That’s right, having better quality webpages with more content makes your PPC Adverts cheaper. In the beginning, your website pages will probably not be on page 1 of Google’s search results. Let alone the No.1 position. Yet, according to research, the lions share of traffic goes to sites at the top of Google’s organic results, the CTR(Click Through Rate) for the site at No.1 position is around 30%, whilst the website sitting at No.10 gets a poor CTR of 2-3%. Getting to that top spot, could dramatically change the traffic you receive and the sales you make! It’s also why getting to No1 isn’t easy — other brands want that traffic and sales — you’re going to have fight for top spot! So, how do you improve your search engine ranking? Links back to your web pages from other domains(websites) are a serious ranking signal for Google. Pages with lots of backlinks rank near the top of search results. You should think of backlinks as a kind of social proof — having your website linked to by other domains, shows that your website is trusted by other people and brands — that’s something Google takes seriously. Let’s look at who’s ranking for the term ‘Streetwear’ on Google. Urban industry are sitting at No.2 with over 4,128 backlinks. They are being outranked by a Wikipedia article, that has a paltry 339 backlinks. On closer inspection, we can see that Wikipedia has an incredible Domain Rating of 96, in this instance that trumps Urban Industry’s combination of Domain Rating (49) and backlinks (4,128). Is determined by your entire backlink profile — how many sites link back to your website and how big those sites are — a link from Google will be worth more one from a smaller site. Sites with a large Domain Rating, find it easier to rank in search engines results. Speed matters to Google at your website visitors. A site that takes ages to load will get people hitting the back button on their browser — Google knows this — slow sites will get lower rankings on Desktop and Mobile browsers. So, the inverse must also be true — fast sites will rise up the rankings. You’re aiming for a load of less than two seconds. Sites that that adapt well to various screen sizes and orientation will also get a ranking boost. Google measures how people on different platforms use your site and will adjust your ranking according. For example, if mobile traffic leaves your site quickly — your mobile search ranking will be downgraded. Google have a tool for checking if your site it ready for mobile traffic. Google can tell if a page is full of spammy words and will rank your site accordingly. Write for your audience and about the matter at hand. Linking out to quality(relevant) sources can also help in that regard — it’s not by accident I’ve linked to Wikipedia in this article! In-depth pages, with more words and a good level of detail tend to rank higher in search results. Google has clearly stated that a properly installed SSL certificate is a key factor in search rankings. If you’re an Ecommerce store owner who’s collecting payment details, they are essential. How can you tell if you site has a valid SSL installed — check the left-hand end of your browser address bar when your site is loaded — it should be green with a picture of a padlock. You can click on this green area and learn more about the certificate. What a valid SSL certificate should look like. Search engines also look at factors like menu structures, ease of navigation, and privacy standards — does your site have clearly labelled Privacy and Cookie Polices. All the above will impact your search rankings (and also affect your Ad Quality Score). By now, you should have a grasp of the elements you need to get right if you want to ge to the top of Google. How many backlinks you need? Or how fast your website should be? 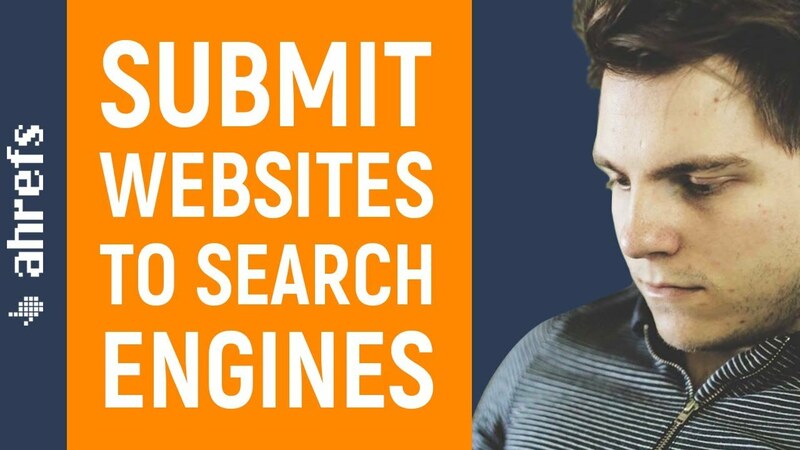 You don’t need the best website or pages ever — although that’s a good aim! You need webpages that are better than the brands already in the top ten search results — the front page of Google. And you need not beat No.1 on the list (eventually you’ll need too). You need to beat No.10 and get on the front page of Google. Look at the ranking attributes of the site in No.10 position. Check out their backlinks (number and quality), website speed, quality of content, and other ranking factors — then match and beat them where you can. Next check your Google ranking. if you’ve made it to page 1, give yourself a hand! If you’re not on page one, work on your ranking factors and go again. The next step is getting to the top of the page — becoming No.1 for that keyword. Having your site on page one of Google should help — as you’ll receive traffic from Google. Google will watch and see if the people it send your way, like your page — spend a long time on your site, view multiple pages. If people like your site, more than the sites above your, you’ll probably get a rankings upgrade. If not, improve the quality of your page and/or ranking factors. Keep going until you get to the No.1 spot on Google. Check if Google can find your page and fix any issues. Find keywords that will drive lots of traffic to your site. Add keywords in the right places on your website. Optimise your pages so that you get on to page one of Google. If your keywords (and the traffic that Google send your way) matter to your business — you need to keep track of your search ranking. Each keyword represents a business opportunity — and the difference between being No.1 and No.2 on Google could be thousands of pounds. Prettylittlething.com ranks No.1 on Google Search for ‘cocktail dresses’ and ‘cocktail dress’ — this generates* £4,500 a month in sales — dropping to No.2 in search results would cost them £2,250. *Estimated and does not include lifetime value or multiple items in a basket. manually tracking keyword search rankings is tedious! Can you imagine, Googling 400 keywords every month and recording their position in a spreadsheet — madness! We use automated software to track our keywords positions — we also offer this keyword rank tracking service to our SEO clients. Need help getting on to page 1 of Google? Want help implementing the solutions I’ve explained in this article? I can help — contact me here. Got thoughts or questions, please comment below.